The B visa is typically called the "visitor's visa." It is for individuals who wish to visit the United States for a short duration. There are two types of B visas: B-1 (for business) and B-2 (for pleasure or medical treatment). An individual would come to the U.S. on a B-1 visa if his purpose is to consult with business associates, travel for a scientific, educational, professional or business convention, or conference on specific dates, settle an estate, or negotiate a contract. If the purpose of visitor's travel is recreational in nature, including tourism, amusement, visits with friends or relatives, rest, medical treatment, activities of a fraternal, social, or service nature, and participation by amateurs, who will receive no remuneration, in musical, sports and similar events or contests, then a visitor visa (B-2) would be the appropriate type of visa for your travel. People who come to the U.S. for a different purpose (i.e. to study, temporary workers, crewman, journalists, etc. must obtain a visa appropriate to their visit). There are specific requirements that must be met by applicants to qualify for a visitor visa under provisions of the Immigration and Nationality Act. 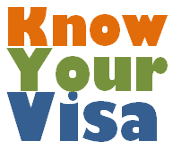 The consular officer at the embassy or consulate will determine whether you qualify for the visa. Foreign travelers who are citizens from certain eligible countries may also be able to visit the U.S. without a visa on the Visa Waiver Program. Once a visa stamp is obtained at the U.S. embassy or consulate, you would need to present yourself to a U.S. inspector at the port of entry such as the airport. The officer at the airport will interview you and determine the length of time to allow you to remain in the U.S. The length of stay is indicated on Form I-94 arrival/departure record, which is a white card that will be placed into the passport. Individuals are advised to carefully note the expiration date on this card. Once in the U.S. a person may apply for an extension of his or her visitor's status. Extensions are granted for periods up to six months. The program was established to eliminate unnecessary barriers to travel, stimulating the tourism industry, and permitting the Department of State to focus consular resources in other areas. VWP eligible travelers may apply for a visa, if they prefer to do so. Nationals of VWP countries must meet eligibility requirements to travel without a visa on VWP, and therefore, some travelers from VWP countries are not eligible to use the program. VWP travelers are required to have a valid authorization through the Electronic System for Travel Authorization (ESTA) prior to travel, are screened at the port of entry into the United States, and are enrolled in the Department of Homeland Security's US visit program. Citizens of the following countries are eligible for the Visa Waiver Program: Andorra Hungary New Zealand Australia Iceland Norway Austria Ireland Portugal Belgium Italy San Marino Brunei Japan Singapore Czech Republic Latvia Slovakia Denmark Liechtenstein Slovenia Estonia Lithuania South Korea Finland Luxembourg Spain France Malta Sweden Germany Monaco Switzerland Greece the Netherlands United Kingdom.